It's time to send the Boss or maybe the school principal in for the "Big Splash"! Or maybe the town Mayor or Councilman? 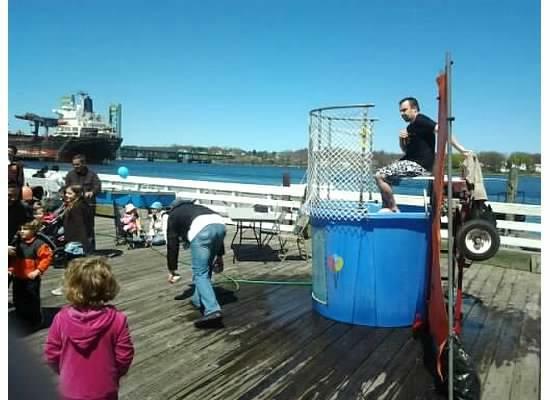 The possibilities are endless when it comes to creative victims for the Dunk Tank. The Blast Party Rentals dunk tanks have been delighting crowds for years. 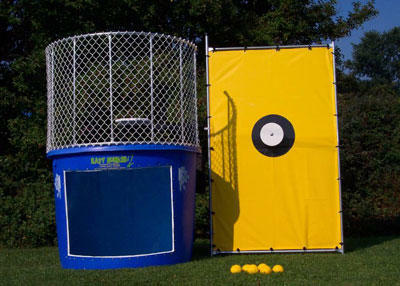 The concept of dunking the boss at the company picnic, or dunking the local "celebrity" at fundraiser events has become an American pastime. 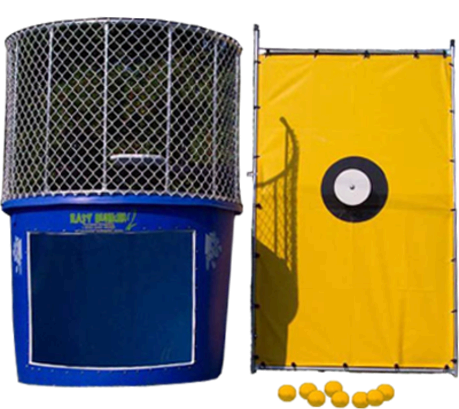 Our Dunk Tank Rental has always been a leading fund raiser at fairs, carnivals, and provides hours of fun entertainment at any event. It's easy to use and setup, you just add the water! Our dunk tank holds over 500 gallons of water and has a clear lexan panel so your guests can see the splash all the way to the bottom.